There will be no shortage of haunted houses in Alabama around Halloween 2019. Y’all definitely do the South proud. Funtober lists all the haunted attractions including commercial haunted hayrides, corn mazes, walking trails, scream parks and more. Alabama has lots of zombies, clowns, freaks, Jason’s, and demons roaming the countryside or staying at houses. Opens September 29th. Atrox Factory is a 50,000 square foot Alabama entertainment complex located near Birmingham. It might be the largest haunt listed on Funtober in Alabama. It is a complete night of entertainment fright in October. Atrox Factory features celebrities from the most popular horror movie and TV shows. You can meet the celebrity actors up close for autographs at Atrox. A charity haunt with some of the best character actors and animatronics in the terror industry. The theme is based on altering your mind’s experience from what you expect. Fear and fright are abnormal so the facility only admits children above the age of 12. Dr. Slain, your host, leads you through dark passages into rooms with bloody autopsies. You will feel the blood splatter and moisture. Expect to encounter monsters and chainsaw carrying creatures along your minds dark journey. Here you might be grabbed, touched, or pushed by the actors. The 30 minute experience leads you to run for your life. After 10 years of terror, Atrox Factory provides an indoor waiting area complete with a movie, concession stand, restrooms, free parking, wheelchair accessibility and great FX imaging. They use mirrors, sound, motion, fog, lights to create cool scenes throughout the building. The only drawback is the long waiting lines because of the popularity of Atrox Factory. Wait times can be an hour. Parking is free. Atrox has over 34000 Facebook likes..
Tickets take you back in time. Attraction features former residents and popular friends who have returned from the afterlife. Concessions available so enjoy. Doors open at 7:30 pm. Open most Thursday through Saturday nights in October. Season begins on October 5th. I would consider Darkwood Farms a locals maze in Alabama. The attraction has both a haunted house and trail for the one low price. Located in the town of Arab, Walking Dead Maze is approximate 30 miles outside of Huntsville, Alabama. The trail is very dark with actors providing the surprise and scare. The house has blood and actors with chainsaws. It takes about 10 minutes to tour both attractions. It opens at 7:30 pm and runs until finished. Discounts available for donated canned food items. Opens September 28th. Many consider this one of the best haunts in all of Alabama. It has served the community for over 10 years. 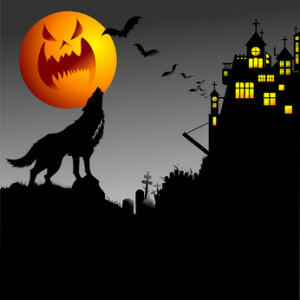 It is scary enough for adults and at times they have added a flashlight tour for children 12 and under. What they found was people, even kids, have different levels of fright tolerance. This charity attraction supports the Muscular Dystropy Association. It is open every Friday and Saturday starting September 28th. Open nightly from 7pm to 11pm. Opens for the season on October 5th. Open every Friday and Saturday nights in October. The former D.E. Jackson Memorial Hospital served the Lester, Alabama community for 50 years. This site is a real haunt and the home to many ghost and paranormal sittings. Each October it becomes Zombie Attack a spook house in Alabama. Zombie attack is open each Friday and Saturday from 7pm to midnight. This is a charity haunt featuring, zombies, blood, hospital sittings, ghosts and both man made and paranormal ghosts. It takes approximately 15-20 minutes to go through the building. Unless you run across a real ghost this is a community charity event primarily providing wonderful local entertainment. Opens September 28th. The Hollis Fire Department comes through again with their charity entertainment. Actually the Hollis Haunted Chicken House attraction is really 3 haunts in one. Of course there is the terrifying chicken house which you can go through for $15. They offer a hayride for $15. Spend the time and money and do a combo package for only $25-40. The third feature is called Haunted Walking Trail. The Hollis Haunted Chicken House takes place in a real chick house. Consider how terrifying this chamber of horrors was for the chickens. If you are afraid of rats, spiders, snakes, and scorpions then maybe you should keep your chicken self out of the chicken house. Actors portray werewolves, witches, and vampires. This is a large entertainment experience with free parking, a concession stand, and movies for the waiting line. Open every Friday and Saturday from 7pm – 12am. Help “Chicken Dan” wage war against mutant chickens. Opens weekends in early October. Every Fall the walking dead roam the grounds of one of the best zombie type fun houses in Alabama. Located just 20 miles north of downtown Birmingham is Insanitarium. A charity community based attraction on the Palmerdale Homestead Community Center. The story line is the property once housed a mental facility for the criminally insane. The military 60 years ago conducted torture and death experiments on the insane. Now each October the Zombies return and massacre the locals and tourists. Fifteen dollars ($15) gets you inside for the scare of your life. Blood, torture, horror, and death awaits. Are you brave enough for an indoor Halloween venue? Rated PG13, younger children accompanied by an adult are also welcome. The haunted attraction features free onsite parking, an inside waiting line area, running horror movie, refreshment stand, and the fright of your life. Open each Friday and Saturday evening at 7pm until midnight plus a few Sundays. Insanitarium has security, actors, lighting, modern horror attractions, and is wheelchair accessible. The attraction is not affected by inclement weather. The undead are waiting for you. It takes about 30 minutes to go through the complex’s dark passageways and feature rooms. Expected to be surprised and terrified. Located in Verbena, Alabama, Mountain Creek combines a haunted trail with a regular hayride attraction. The scare is provided by actors portraying a community of walking dead, undead, and zombie creatures. Lots of blood along the trail. It takes about 35 minutes to walk the Trail of Fear. Open every Friday and Saturday night beginning October 5th. Sloss Fright is a real haunted house in Birmingham. It is one of the most scary places on earth. It is the subject of many newspaper and television stories on the paranormal. In late September, Sloss opens to the public as one of the most popular scare attractions in Alabama. A scary place just gets real scary. Sloss Fright Furnace has two trails. One 30 minute tour of the furnace and another 15 minute trail tour through the surrounding woods. The furnace was an old steel mill in Birmingham. Over the years hundreds died in industrial accidents. Many people have seen or experienced ghosts inside the factory. Now each October Sloss Furnace adds man made terror to this already scary place. At Sloss you can expect to find snakes, bats, rats, cockroaches and creatures in a building more than 120 years old. The tour has added smoke, strobe lights, lasers, black lights, explosions, fire, sounds, actors, animation, and high voltage electricity to the fright. Ghosts and weird real life experiences are the attraction. What will you see and experience? Some characters are actors and some are possibly real ghosts. You never know which is which at Sloss Furnace. All ages can take the furnace tour. The trail tour is restricted to age 14 and up unless accompanied by adults. Typically there are wait times but not unreasonable. There is a restaurant in the waiting area. (Road-kill). Open most Thursday through Sunday nights in October and every night the week before Halloween. Spook Trail is an outdoor maze trail featuring freaky looking monsters and dark passageways. Quinton is about 30 minutes north of Birmingham. A dark trail is always scary. Here you add a few strobe lights, scary actors who touch and grab you, and both the surprise and anticipation of the next monster fright. Spook Trail has been terrifying people for more than 20 years. Spook Trail takes about 45 minutes to complete. At $15 this is a great value. Donate some canned goods and get another $5 off. Spook Trail is a compete entertainment haunt with restrooms, music, and a concession stand (Boneyard Grill). The trail is open every Friday and Saturday night starting on September 28th. It opens at dark and closes at midnight. Opens September 28th. There are 3 events at Warehouse 31. Warehouse 31 is a new 30,000 square foot attraction from Florida that relocated to the Birmingham area. It is just 20 minutes north of downtown. Rigamortis is a haunted trail with 30 unique scenes. The 3D Clown Nightmare has but what else scary 3D Clowns. Vertigo is their maze. They is also have a wonderful Monsters Midway with music and souvenirs. Warehouse 31 does allow you to wear your costume with the mask. Warehouse 31 opens late September. Gates are open 6:30 pm to midnight on Friday and Saturday and until 11 pm on other nights. Another one of the new fun houses in Alabama. Save money and buy your tickets online. Secured parking on Friday and Saturday nights. Free parking is available. Warehouse 31 has over 37000 Facebook likes. Also check out our list of the Top 100 Haunted Houses 2017 in America. Is your favorite haunted attraction on our top 10 and top 100 state list? In some instances, the closest haunt to you will actually be in another state. If you find yourself close to the border of Alabama, or that is where the closest big city is, there may be a haunt that is worth considering there. We have found these haunted houses in nearby states to checkout in addition to those in Alabama: Florida, Georgia, Mississippi, and Tennessee. Check out the TOP 100 HAUNTED HOUSES FOR HALLOWEEN 2018 and our list of the Top 100 Haunted Houses 2017 in America. Is your favorite haunted attraction on the top 10 and top 100 state list? You may also be interested in our article on Haunted Houses and Horror Movies | History of Fear. Have you been to one of these haunts? Future readers would be interested in hearing what you thought. Did you have fun? Was it worth the price? Would you suggest it to visitors here? Any tips to maximize your experience? I'll gladly publish what you send me and give you an over the Internet hug. If you are the owner or employee of a house in this directory, or one we missed and need to add, we would love to have more information about your place, including the url, photos, dates/times/hours etc. Use the contact form on our advertising page to get in touch and we'll follow up if we still need your response to any of these questions. A haunted house attraction in Fairhope Al! This one is in Montgomery County just south of Montgomery, AL off of Hwy 331. This annual event is put on by South Montgomery Academy as a fundraiser. Awesome fun for the whole family. This year they added a Haunted Barn to the Hayride.